We spent over 15 hours researching and testing 20 different kinds of baby blankets and found that quality of material, weight of the blanket, and variety of designs were most important. 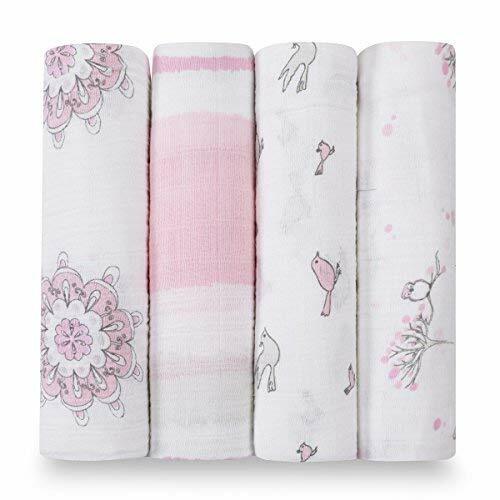 Aden + Anais Swaddle Baby Blankets scored high in all categories and is our top pick. The breathable fabric of these blankets keeps the baby comfortable without becoming overheated. They are perfect for swaddling. The material is very soft and gentle against the baby’s skin. The blankets get softer the more they are washed. Each blanket measures 47” x 47” and comes in a variety of designs. Baby blankets are a staple of having a baby and it seems you can never have too many around. 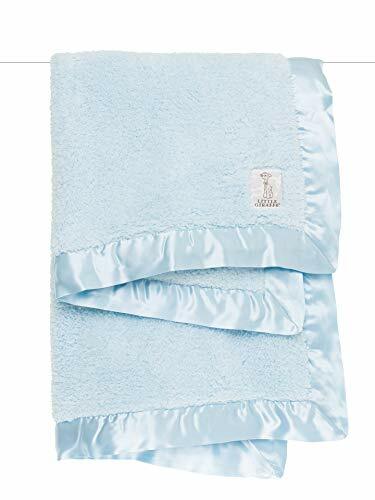 These three top rated baby blankets are from reputable baby product manufacturers that are known for quality and comfort as well. Baby blankets are used for a multitude of things; covering your baby at night while they sleep, laying the blanket on the floor for the baby to play or sit on, holding onto for comfort and much more. With all of the hundreds of different baby blankets there are in the baby industry, it can be a real challenge to decide which ones are good quality and which ones will lose their plush softness after a few washes. Well give you the specifics on these top rated choices so you can see for yourself which one appeals to you. Natural muslin has been used for generations and is still very popular with parents. These aden + anais classic muslin swaddle blankets are the perfect blankets to use for your baby. The breathable fabric that these attractive blankets are made of reduces the risk of the baby getting too hot. 4 swaddling blankets come in this pack with different designs on them. The fabric is lightweight and has an open weave that helps the baby’s temperature stay regulated on its own in a natural way so they don’t overheat. The fabric construction and properties allow the baby to be swaddled and stay cool in the summer and warm in the winter. The soft material is gentle on the baby’s skin and is strong enough to withstand every day use. One of the features these blankets have is that they get softer every time you wash them. Each blanket measures 47” x 47”, larger than most blankets of this nature, giving you plenty of room to swaddle the baby comfortably. These blankets can be used as burp blankets, swaddling blankets, nursing shields, stroller covers; temporary crib sheets (tucked in tightly) tummy time blankets and covers for changing tables and other surfaces. Each one is made from 100% cotton so there will be some shrinkage in the dryer. They are machine washable and can be tumbled dry as well. They make a perfect shower gift for any new parent and are sure to please. Your baby will be wrapped in softness and luxury with this beautiful chenille baby blanket from Little Giraffe. Measuring 29” x 35”, your baby will have a lot of soft material to snuggle up with. The matching satin trim finishes off this blanket beautifully making it the kind of blanket your child will want to hang onto for a long time to come. This blanket is made from 100% polymicrofiber/57% Rayon and is made in the US. It is machine washable on the gentle cycle and with care will not change in softness or beauty with washings. This beautiful blanket is definitely more than just the typical receiving blanket. Its softness and beauty make it a perfect baby shower gift or special blanket that mom and dad buy for their new baby. As soft and cuddly as it is, this is the type of blanket that could easily become your baby’s favorite blanket that they want to take everywhere with them. This gorgeous chenille baby blanket is available in many different colors including pink, blue, charcoal, white, raspberry, teal and more, so you can have an easy time matching it to your nursery theme. Carter’s is a long standing and well known name in baby products from blankets to onesies, to regular baby clothing. These beautiful flannel receiving blankets in gorgeous shades that are perfect for a mom to be expecting a girl, are soft and functional too. These cotton blankets are the perfect things for the day to day blanket needs every baby has. Use them for swaddling, burping, nursing covers, sleeping, tummy time and any other time you find yourself looking for a blanket for your little one. Each flannel baby blanket measures 30” x 40” giving plenty of useable space that your baby will enjoy. There are 4 Carter’s receiving blankets in each pack and they are available in a wide range of colors and patterns that make them work for every nursery theme. Each blanket is made from 100% cotton and is soft and warm against the baby’s skin. They are machine washable and the mire they are washed, the softer they get. These blankets make the perfect baby shower gift for new parents and they will cherish the well loved carters name and the quality and weight that each blanket has. No flimsy, cheaply made blankets here. You get quality and style in every package. Baby blankets are an important item on a parent’s list of needs and wants when it comes to their new baby. There are many different circumstances where baby blankets are used with a baby; from using them as burp cloths to swaddling, they are very useful for the day to day needs of your baby. There are many different types, styles and size of baby blankets available for parents to choose from in a huge variety of patterns and colors. Add in the different material weights that are available and the process of figuring out which to choose can become daunting. Some blankets are better used for tasks such as burp cloths than others that are better suited for swaddling and cuddling. There is also a difference in workmanship, so one blanket type may be perfect for use in the crib and others might be too rough against the skin to use for sleeping and swaddling. Some blankets are made with such quality that they are passed down from generation to generation. Most parents have a number of different kinds of blankets available for all the different needs their baby has. This enables them to choose a variety of different kinds and have all of their baby’s blanket needs met. Read below to learn more about choosing the right blankets for your little one in our informative buyer’s guide. With the information contained in this buyer’s guide, parents will be able to narrow down the choices from all that is available and decide on which ones they want to purchase for their baby. What is a Baby Blanket? One of the most used items a baby has is a baby blanket. They come in a variety of sizes, styles, colors and materials and most parents have many different kinds available for the different tasks that are involved in having a baby. Due to the importance of a baby blanket, you want to look for blankets that are going to stand up to the constant use and washing that they go through. Cheaply made blankets wear out quickly and don’t work as well as the better quality types so you should pay attention to the materials used and the reputation of the manufacturer as well. Babies can develop attachments to specific baby blankets, so you want the ones that you give your baby to sleep and cuddle with to be high quality, durable, and soft too. Once they get attached to a specific book, you may find that it is difficult to get away from them, so make those blankets your baby sleeps with to be the best quality you can afford to get, especially since this may be a blanket that stays with your baby for years to come. There are many different types of baby blankets to choose from. We have outlined the different types below that will meet the different needs your baby will have as they go from newborn to toddler. Receiving Blankets – These lightweight blankets are used for draping over the shoulder during burping, as cover-ups when nursing in public and for many other reasons. They typically measure about 30” square but many manufacturers make receiving blankets much larger. Receiving blankets are the ones that are used for dealing with messes such as spit ups and so on, so most parents don’t spend a ton of money on these. They do have a lot of them and most parents find that there is no such thing as having too many receiving blankets. More than likely, you will find that they are used so often that you will be grateful for a large stack of them. Swaddling blankets – Swaddling is a method of baby wrapping that is used to calm fussy babies, especially when they are newborns. Swaddling, when done correctly, has been shown to reduce crying and restlessness in babies so learning to swaddle properly definitely has its benefits. Swaddling blankets are available in many different sizes and shapes, some being simple flat squares and others being cut to wrap around the baby. On average, swaddling blankets are usually about 42” square giving the parent plenty of material to work with. Some may have fasteners that keep the blanket from unwrapping. Swaddling blankets are available in a variety of designs and colors and are soft next to the baby’s skin. Security Blankets – The term security blanket is used to describe a blanket that a baby has grown attached to. Sometimes they have a stuffed animal attached to them. They are usually super soft and plush, oftentimes made of fleece and are not designed to swaddle the baby or be used as burping cloths. The baby will usually want to sleep with their security blanket and take it everywhere they go. You want a security blanket to be well made and durable so it lasts into the toddler years without falling apart. The blanket your child attaches to may be any type of blanket and may not even be the one you buy specifically for this purpose. Sleep Sacks – Sleep sacks are blankets that have zippers or snaps to keep it safely wrapped around the baby without subjecting the baby to any dangers that can go along with using blankets with a young baby. They are a perfect type of blanket to use for a baby if it is cold and you want the baby to stay covered. Sleep sacks are also great for allowing the baby to move their legs without kicking the blanket off. Baby Quilts – Baby quilts are sometimes called blankets, but are usually much larger and thicker is size. They are used as bedding and even wall decorations when they are fancy. Most baby quilts measure 45” x 60” which is the standard size of a crib quilt. Parents must use caution when using a crib quilt and make sure that the baby does not get tangled up in it or cover their faces. Baby blankets come in many different types of materials. The ease of cleaning, durability and softness are all dependent upon the type of material the blanket is made of. Cotton – Cotton is one of the most common materials used for baby blankets. It is also one of the least expensive to purchase, making them a good material for receiving blankets. They are cool and soft and breathable as well. Cotton is very durable and stands up to day to day use and frequent washing as well. Cotton baby blankets are available in organic varieties that are made with non-toxic dyes and are not processed with toxins or bleaches. One drawback to cotton is that it doesn’t dry quickly when it gets wet. Muslin – Another popular material used in baby blankets is muslin. It has an open weave that is easy to clean and is also inexpensive. 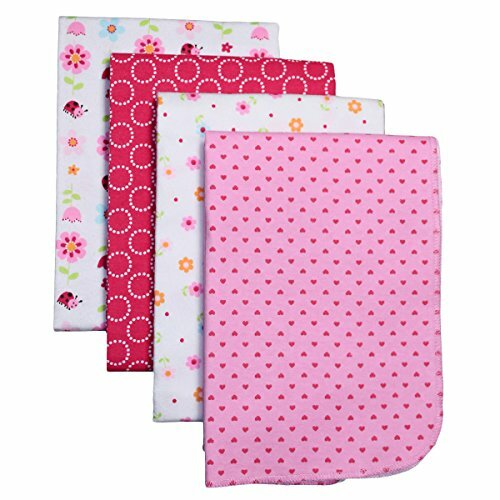 Soft to the touch and breathable, muslin baby blankets are great for using as burp cloths and nursing. Microfiber – This synthetic material is stain and liquid resistant. They are used for many different tasks including keeping the baby warm and work the same way traditional blankets do. They are extremely durable and easy to get clean. Fleece – This lightweight, stain-resistant material is very popular with parents and babies alike. This type of material is made from 100% polyester and is designed to stay dry and warm. It is a perfect type of blanket for keeping the baby warm in the crib, stroller, car seat or swing. They are super plush and soft. Flannel – Flannel baby blankets are warm and very good for layering. They insulate the heat making them great for lying over the lower half of the baby when it is in the car seat or infant carrier outdoors when the temperatures may be colder. They are usually made from wool, wool and cotton or wool and synthetic materials and are typically soft to the touch. Natural Fibers – Organic materials, eco-friendly. Non-toxic…these are some of the words you will see to describe baby blankets that are made from natural fibers. In many cases these blankets are also hypoallergenic which are perfect for little ones that are suffering from allergies or that have sensitivities to different synthetic materials. Natural fibers are a good choice for babies with sensitive skin as well and can prevent irritations or problems from developing from using the synthetic materials. Chenille – Chenille baby blankets are made with a textured kind of yarn that is made of wool, silk, cotton, or rayon. The pile texture is like a caterpillar and feels very much like velvet against the skin. Fleece is one of the softest and most popular blankets on the market now. There are different qualities of fleece blankets. You want to keep your fleece blankets soft and looking beautiful which means taking care of them properly. The higher quality fleece, sometimes called “Ultra Plush” is less likely to pill and lose its softness. Follow the instructions below to wash and clean fleece baby blankets properly. Add the blanket or blankets to the washing machine. After the wash is done, hang the blanket on the line or a drying rack and allow it to air dry. Allowing fleece blankets to air dry prevents them from pilling that is caused by the fabric rubbing against itself in the dryer. Here are some additional tips on cleaning fleece and other types of blankets to keep them good as new and feeling terrific for your baby. Adding softener to your water helps reduce the negative effects that hard water has on blankets. Hard water can roughen them so be sure to pay attention to whether you are dealing with hard water or not. You can tell whether you have hard water by the appearance of rust stains or lime deposits in your sinks and toilets. A way to prevent the blanket from shedding while in the washer is to put it in a pillowcase and wash it in there. Don’t use dryer sheets on soft blankets or it will leave a coating on them that can cause the blankets to feel rough against the skin. If you notice the blankets feeling rough, give them an extra rinse cycle when you wash them to ensure all detergent is removed. Baby blankets are one of the must-haves that all parents need for their babies; the more the better. They can keep the baby warm, clean up a drooling chin, calm them and protect them from the elements. They can also be used as a changing mat, a play place on the floor or even as wall decorations for the nursery. With all of the choices on the market when it comes to baby blankets, it can get quickly get really challenging when you start trying to decide which type, style, color and size to get. The top rated baby blankets reviewed here are some of the most popular blankets available. They are soft, durable and long lasting and make perfect security blankets and sleeping blankets. You can never have too many blankets when you have a baby. Whether they are receiving blankets, swaddling blankets or something fancier, this is one baby item that will get tons of use.